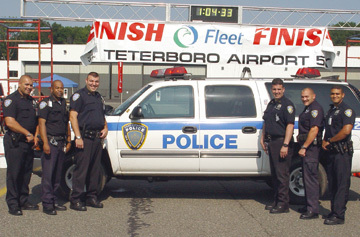 The 7th Annual Fleet Teterboro Airport 5k Run was held Saturday, July 17 at 8:30 a.m. starting at the Jet Aviation facility. Teterboro Airport suspended flight operations for about 30 minutes. 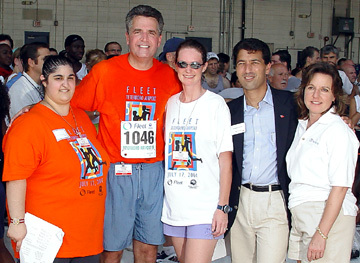 Over 700 runners ran up and down the main runway at Teterboro Airport for the 5k (3.1 mile) course. 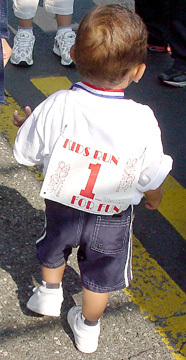 "Mini-flyer Dashes" (25-200 yards) were held for children 2 through 12 following the main run. This year the event was the 2004 USATF-NJ Masters Men's 5k Championship race and included over $3,000 in total prize money. The event featured over $10,000 in random raffle prizes. Nightmoves provided DJ entertainment. There were plenty of water stations throughout the race area. Nourishment was available upon the race conclusion. Runners received a "goody bag" upon departing the race. The Moonachie Volunteer Fire Department provided emergency and first aid services. This event was organized by Bergen County United Way. 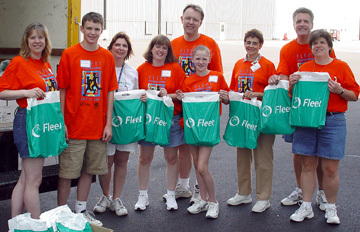 Fleet Bank was the title sponsor for the fourth year. Presenting sponsors were Port Authority of NY/NJ, Jet Aviation and AvPorts. Major sponsors included NYCE Corporation, Pfizer Inc., Playtex Products, Inc., and PSE&G. The supporting sponsor was Ingersoll-Rand Company. Contributing sponsors were Air Fleet Training Systems, Alliant Internet Solutions, Diamond Rock Spring Water, Hertz and Valley National Bank. 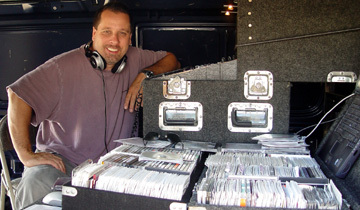 The race director was Mark Zenobia (On Your Mark Productions). The event organizers were Krista Garofalo of Bergen County's United Way and Mary Connolly, Community Volunteer. In addition, many volunteers contributed in making the 7th Annual 5k run a big success. The event raised over $30,000 for the health and wellness programs funded by Bergen County's United Way, bringing the seven-year total to almost $170,000 (net) raised. Bergen County's United Way is in the business of helping people 24 hours a day, 7 days a week, 365 days a year. By partnering with local social service agencies to provide the programs most critically needed, we ensure that children and youth succeed, families in crisis are supported, seniors and the disabled are cared for, and residents facing crisis are helped. For more information about Bergen County's United Way and the services it provides, please call 1-888-340-UWAY (8929) or visit http://www.bergenunitedway.org. 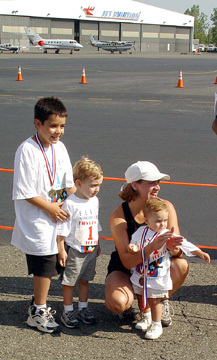 "Mini-flyer Dashes" (25-200 yards) were held for children 2 through 12 following the main run. Runners received a "goody bag" upon departing the race. 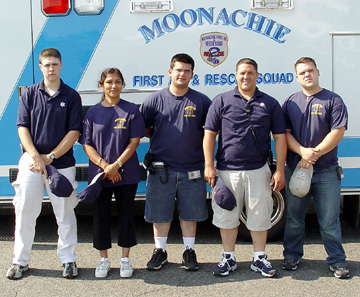 The Moonachie Volunteer Fire Department provided emergency and first aid services.